Clean-able has been taking care of and cleaning Upholstery for small homes and large homes, offices and other commercial premises, leading us to make sure that we are the number one upholstery cleaning company to rely on in Gloucester, Cheltenham, Stroud, Swindon and Bristol. In our areas of coverage, we have cleaned massive amounts of upholstery, including three piece suites, chairs, sofas, soft furnishings and car upholstery. Whether you need your trusty sofa cleaned or your car seats taken care of, we have the machines and equipment to make the cleaning of these furnishings quick and affordable for all of our customers, taking the hassle out of those mundane and time consuming jobs. From time to time all types of furnishings will benefit from a good clean, especially if you have children or pets, as over a short period of month’s sofas and car seats can appear to be dirty and worn, no matter how many times you vacuum or wipe down. Our cleaning machines can help to restore the shine in your soft furnishings, making them look as good as new after one of our cleaning specialists has completed their work. We are able to clean all types of carpets, with a wide range of machines on hand to make sure every need that our clients have is covered. We also contracts at various offices, pubs and clubs as well as putting a lot of effort into the domestic scene. If you run a business and need your upholstery or soft furnishings cleaned at your office or leisure venue, the give Clean Able a ring as we will only be too please to give you a free no obligation quote if you have more than one type of upholstery to clean. Minimum order £20; Please have your measurements ready before contacting us. Commercial: From £0.90 Per Square Metre. 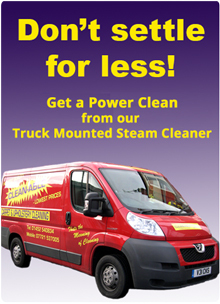 Please click here to obtain a free, no obligation quote or alternatively you can ring us on 01452 540 834.